Intense Pulsed Light (IPL): Recently, a new treatment using Intense Pulsed Light (IPL) has become available to treat dry eye, especially patients diagnosed with blepharitis (inflammation of the eyelids), ocular rosacea (a chronic skin condition), or meibomian gland dysfunction (clogging of the glands at the rim of the eyelids). 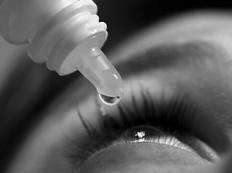 This treatment helps improve the oil in your natural tears which helps prevent tear evaporation. Most patients will need one treatment per months for 3-6 months followed by interval maintenance treatments. In the Autumn of 2016, we hope to formally study and publish the effectiveness of IPL. If you are a candidate, you may be able to obtain this treatment at reduced cost through the study. More information will be available on our website in September, 2016.